The nanocredits are the currency in the game. With them you can purchase different paid extra features. Nanocredits could be bought via SMS – Bulgaria and Romania only or via bank transfer. 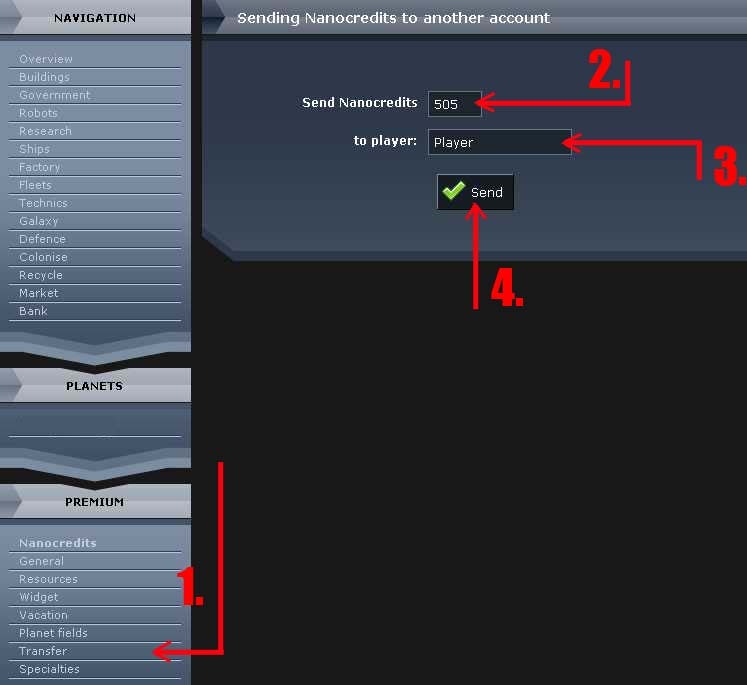 Check the Nanocredits section in the Premium menu for more information. There is a possibility to transfer credits between players in a same universe. Enter the EXACT player name (we recommend copy-paste). Please, have in mind that after a transfer these credits are not yours anymore and you don’t have any control over them. Also, you cannot cancel a transfer, so use this option with caution!